Hi friends!! I am beyond STOKED to contribute to this blog 🙂 and I want to thank Colleen for welcoming me! I hope to be able to inspire others on this FODMAP journey, maybe making life a little easier!!! PEPPERMINT TEA BAGS: Perfect for taming an upset traveling tummy. RICE CAKES: Lundberg brown rice are my fave. JUSTINS ALMOND BUTTER PACKETS OR A JAR OF PEANUTBUTTER : I prefer PB since almond butter has a limit, 1 tbsp= about 12 almonds which is OVER the low FODMAP limit of 10 almonds. 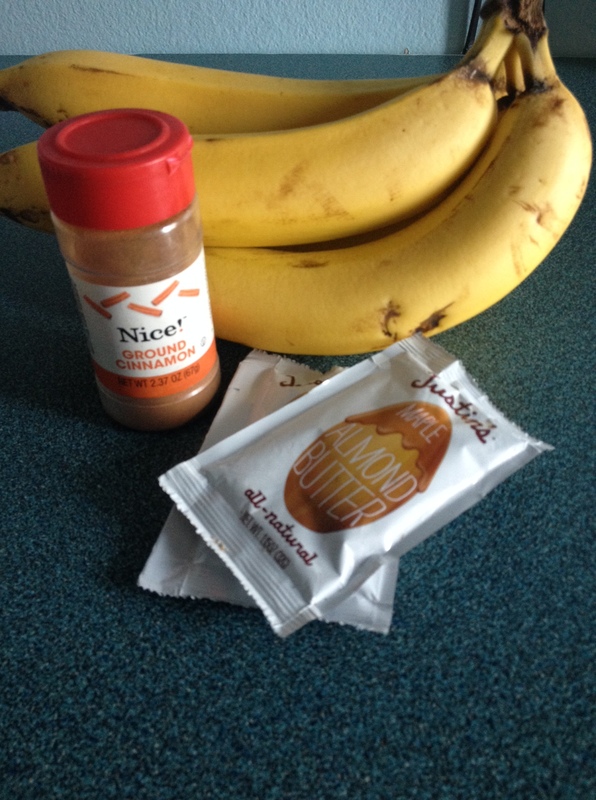 Nut butters are great to spread on your ricecakes with Banana coins for breakfast, snacks or whatev. Bananas are easy to find anywhere. Perfect airplane or train snack! OATMEAL: I bring gluten free Bobs Red Mill quick cooking oats in ziplock bags. 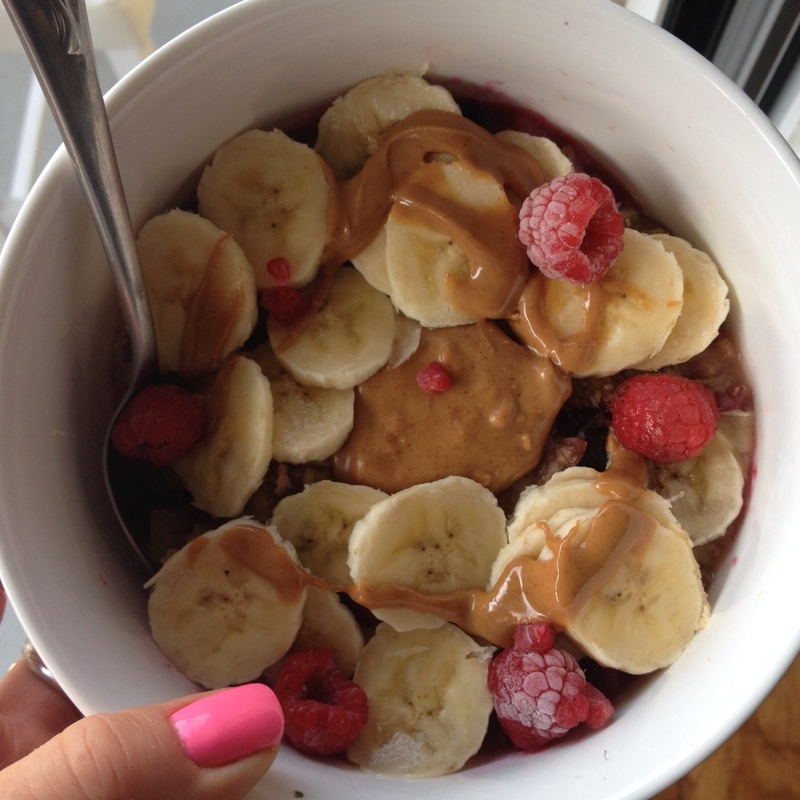 Add boiling water in a paper cup, add chia seeds, bananas,peanutbutter, cinnamon: fiberfulBFAST! CHIA SEEDS: Fiber when traveling! ZIPLOCK BAGS/PLASTIC KNIVES/MEASURING CUPS: I pack these because you can easily carry your snacks around, use the knives to cut bananas, and measuring cups for your oats/chia seeds/nut butters. PRE SOAKED NUTS : raw almonds,hazelnuts, walnuts (all limit 10), pumpkin seeds(2 tbsp), when soaked are easier for digestion. 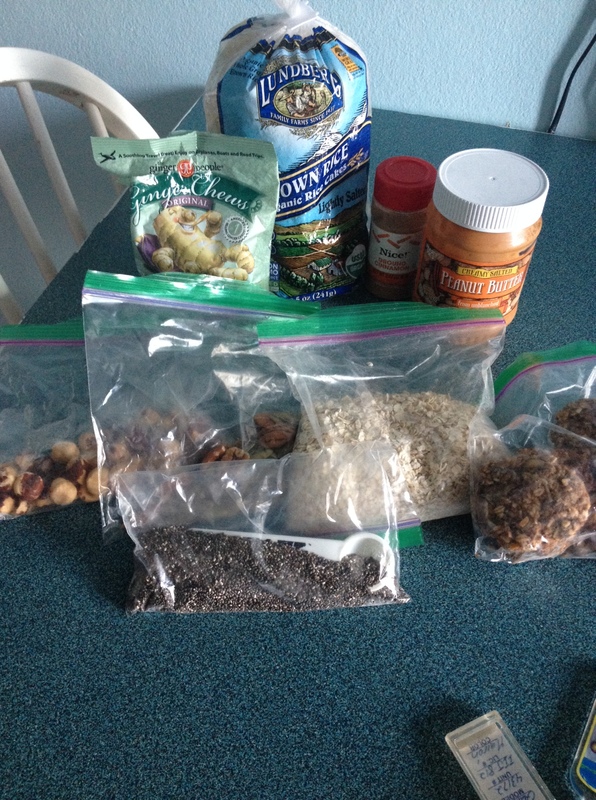 DIY TRAILMIXES: Throw in gluten free pretzels, nuts, any low fodmap cereal, ‘enjoy life’ choco chips.. etc, get creative here and know your limits..
HOMEMADE COOKIES: this is one of my FAV traveling items because they can keep well for a week in a mini fridge and it can work as a breakfast/snack/dessert when everyone else is indulging in ice-cream or whatever those non FODMAP people eat ;), take out a yummy cookie! 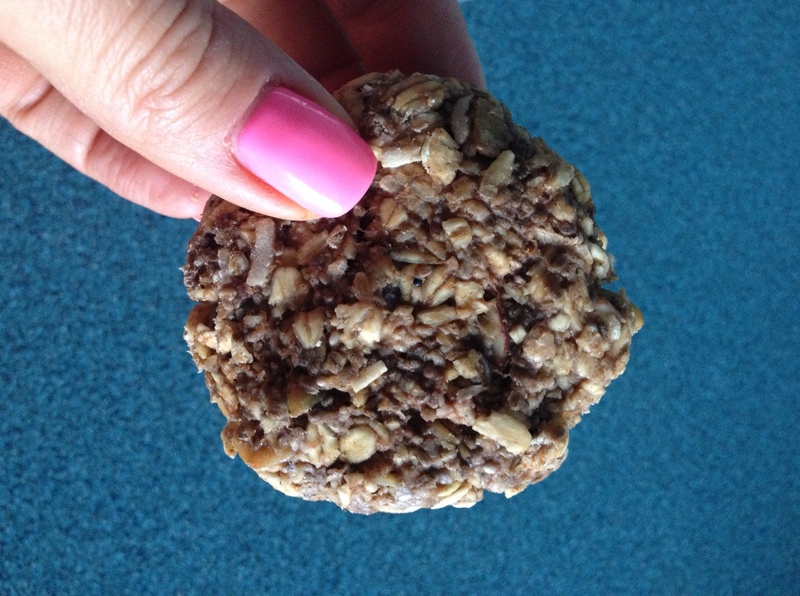 Optional add-ins: 10 or so chopped almonds,hazelnuts or pecans ,1/4c unsweetened shredded coconut, 2 tbsp raw pumpkin seeds, 1/4 c enjoy life chocolate chips.. Instructions: Mix ingredients together. Flatten about a tablespoon fof the mix on baking sheet sprayed with coconut oil. Bake at 350 c for 10-12 minutes until the bottoms are golden. Makes about 10-15 cookies. HAPPY TRAVELING AND WISHING DIGESTIVE PEACE AND LOVE FOR ALL!! P.S. : AWESOME TIP FOR DINING OUT: I always tell my server that I have ALLERGIES rather than intolerances. I always find this makes them take it more serious! 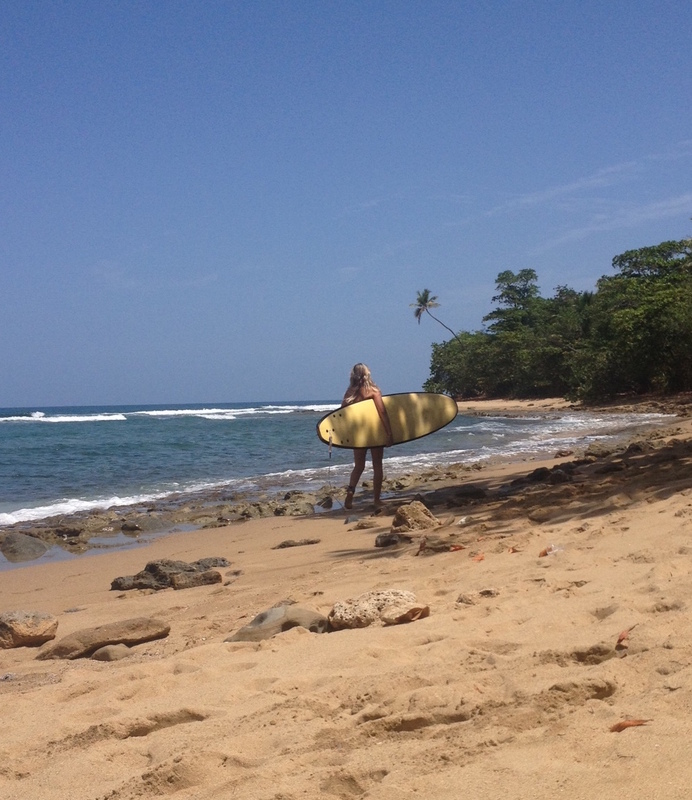 ANDDDDDD GONE SURFING 😉 ALOHA!